Marika Mung is a young Warmun painter; she lives in Frog Hollow. She is the youngest daughter of renowned Warmun artist Beerbee Mungnari. 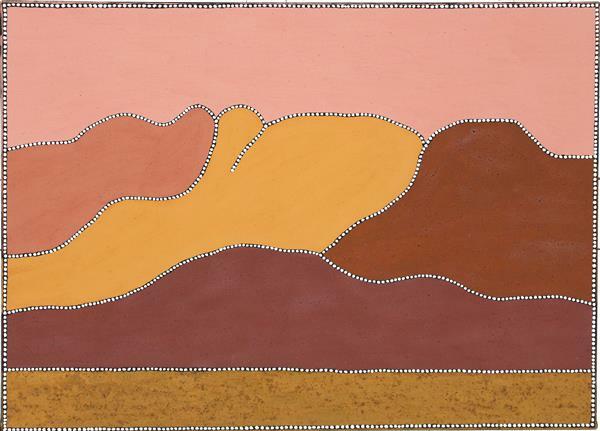 Mungnari is Mung’s teacher and mentor and she paints country her father mustered cattle through as a young man. Mung’s traditional country on her mother’s side is Texas Downs which she often visits. 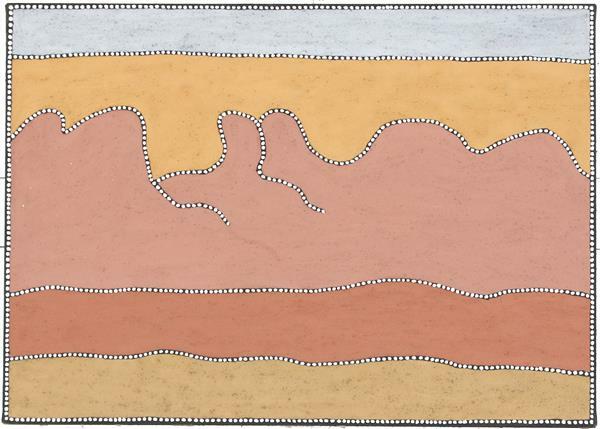 She knows many Ngarranggarni (Dreaming) stories from Texas country which she takes as subjects for her paintings. Mung is one of Warmun’s talented emerging artists.